I have just discovered a new genre: cli-fi, or climate change fiction. Set in the present or near future, these novels imagine a changed world once the effects of climate change are really beginning to be felt. It’s not such a new genre to me, after all. I read David Brin’s Earth and Kim Stanley Robinson’s Forty Signs of Rain quite some time ago, and science fiction writers have been speculating about climate change for a long time now. Cli-fi now seems to be gaining some literary legitimacy, though, with writers like Ian McEwan (Solar), Margaret Atwood (the Oryx and Crake trilogy) and David Mitchell (The Bone Clocks) tackling the subject. 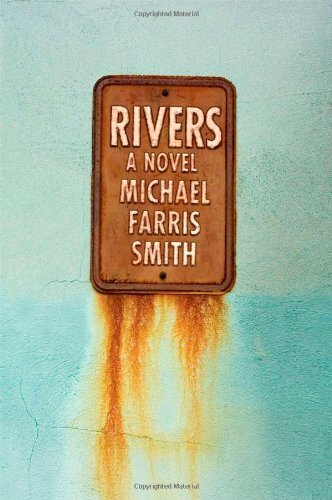 If you are interested in this sub-genre, I highly recommend you start with Rivers by Michael Farris Smith. Set in the near future on the Mississippi coast, which is ravaged by perpetual storms and has been abandoned by the US government, this is a beautifully written and powerful novel. For further reading, here’s my cli-fi list on LibraryThing. Very good post, and I will look for this novel you recommended here. You might want to see the Wikpedia page for ”cli fi” to see more news links and lists, and you might want to know about the Cliffies, aka the Cli Fi Movie Awards, which is an annual movie awards program to recognize and honor new cli fi movies, many of which will get made from adaptations of novels, such as RIVERS, above. HBO is now making a movie based on Margaret Atwood’s MADDADDAM trilogy and directed by Darren Aronofsky. So yes, this cli fi genre is growing and evolving. THere’s even a #clifi hashtag on twitter now, which i started in 2012. For info on the Cliffies and more background about cli fi, see my blog here: http://korgw101.blogspot.com — Nice to meet you. I am in Taiwan!